One of the projects on our long guest bedroom makeover to-do list is stripping, sanding and painting the skirting boards. Some of you have asked, if wouldn’t be quicker and easier just to replace them. 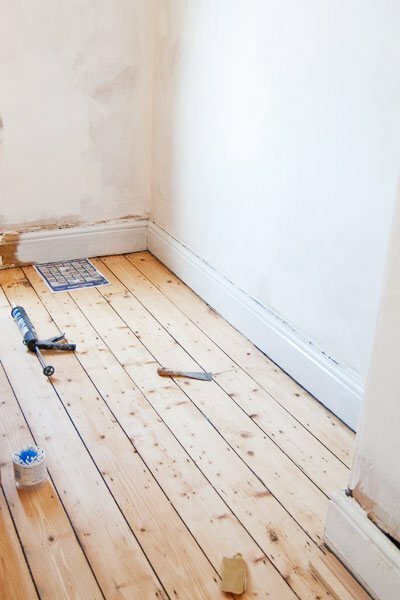 It’s something we hadn’t really considered, as the skirting boards are still the original ones that have been in the house for over a hundred years. It seems a shame to remove original features. The skirting boards are also higher than the ones that are now available, so we’d have to replaster the wall over the skirting boards to make up for the difference. For us it just seemed to make more sense to keep the original ones. 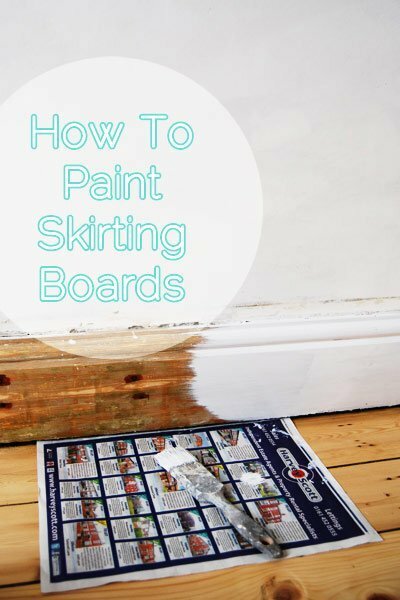 We’re painting our skirting boards from scratch, but we also use the same method to repaint and freshen them up after a while. It’s pretty much impossible to avoid scratches and scuffs from cleaning and vacuuming, whilst they hold up very well, it’s inevitable that the odd touch will be required. Luckily it’s quick and easy to do, this is what you will need. Sandpaper and sanding block – we started sanding with 80 grit paper, and then finished with 180 grit and 240 grit for sanding between coats of paint. If you are only repainting your skirting you’ll only need the finer grades. 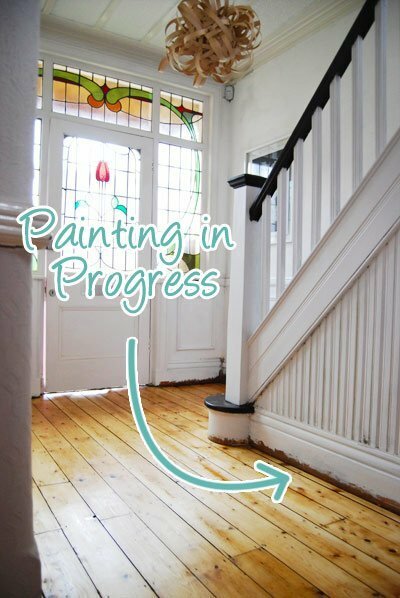 A few weeks ago, we already stripped the old paint of the skirting boards, but before we can start to paint them, they will need to be sanded. Sanding will remove any paint residue and imperfections. With a nice, smooth service prepared you can start to think about the painting. Start by covering the floor with paper or dust sheets. We didn’t bother covering anything with painters tape as we’ve had a fair amount of practise painting and find that we can achieve a straight line with just the paint brush. 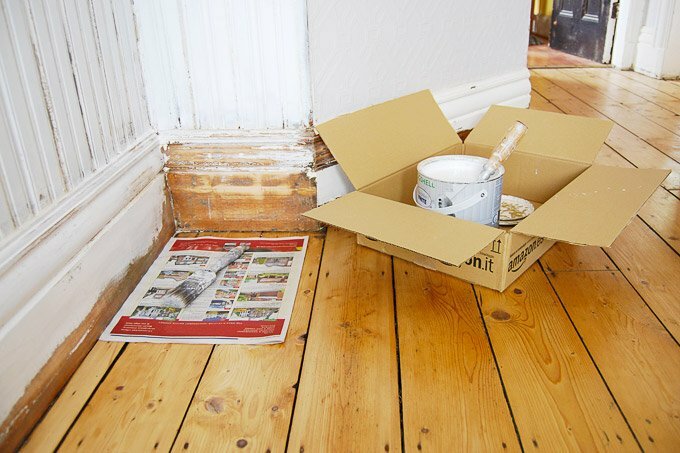 Before you get your paintbrush out, make sure you’ve removed any dust and dirt of the skirting boards. The paint we’re using doesn’t require an undercoat, so we could get stuck straight into the painting. 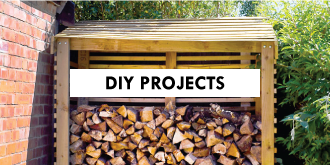 Don’t forget to treat the knots in the wood with knotting solution first! If you miss them, they’ll seep through the paint and show up as yellow marks. 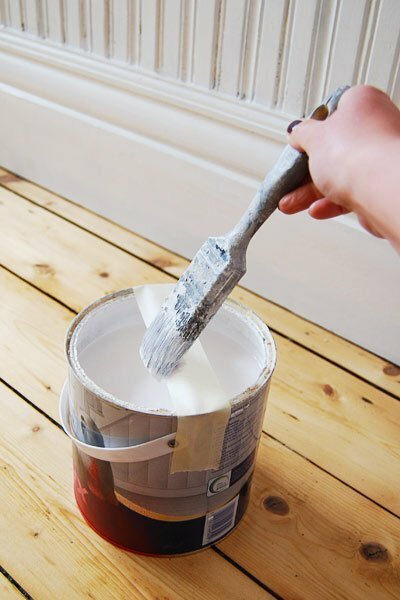 Try to apply a really thin coat of paint and use long brush strokes – it’ll help to achieve a smooth finish. Something else we like to do, it attach a piece of masking tape or an elastic band over the can of paint. If you have too much paint on the brush, you can wipe it on the tape. 4. While working, we also like to keep all supplies in a small box. That way you are less likely to mess up your floor and it also keeps everything together in one place. 5. 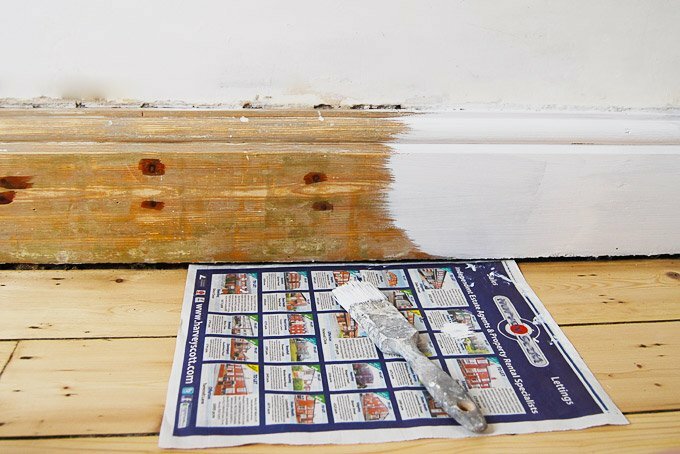 Instead over taping the floor, we push a piece of paper into the gap between the skirting board and the floor. Just keep sliding it along to cover the area you’re painting. This method works particularly well in corners. There’s still a lot more to do in the bedroom, but the first bit of skirting board in corner of room is done. While painting the upstairs skirting, we also finally got round to touching up the skirting board in the hallway. We’d already done most of it, but after removing the laminate flooring and sanding the floor there was a little edge left that needed painting. There’s still loads to do in the bedroom, including sorting out the window (more on that tomorrow), attaching a picture rail, sorting the electrics and plumbing and then painting and decorating everywhere. With some overnight guests visiting soon, we’d better get a move on! 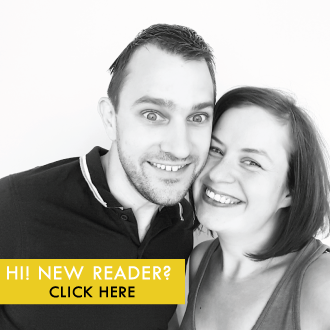 Thanks Kerrie, glad we could help – just make sure to push the paper right into the gap. Good luck with the painting! I like to paint the skirting boards (baseboards is what we call them) the same color as the wall instead of the traditional white, so are the door and window frames. So they sort of “disappear” instead of being a focus in the room. For me, my eye stops abruptly at the change of color. 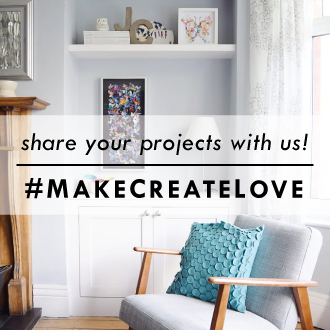 I have a black wall and the rest are a creamy yellow and the skirting boards are a match just so it flows more easily. I love the idea of painting the baseboards the same colour as the wall – especially with a black wall! Having said that, I actually like the way the white boards are set off against the colour of the room. It’s definitely something to think about in some of the other rooms though! Good advice! I love the cardboard box- as soon as I saw the picture, I thought “YES! You can slide it along as you move!” And I love the idea of just sliding the paper along. I hate taping things, and I’m always looking for a way to not tape things. Especially the floor. Thanks Leslie! We’re always keen to find things that make our lives easier. I can’t believe we’d not thought of the box sooner – it made life so much easier! Sliding the paper along the floor works really well and it saves soooo much time not having to tape everything. Painting the kitchen (and maybe dining-room) skirting boards is on my to-do list for the summer, so I appreciate you sharing your tips. I also use a cardboard box to store everything when I have an on-going project. I can’t believe what a huge difference painting the skirting has made. Everything feels so much fresher. Glad that you can use some of our tips! Good luck with the painting! I wonder why you didn’t fill the rough plaster just above the skirting boards it would give it a smooth professional finish. It’s all filled now Kevin – we had the walls replastered, but gave the skirting boards a temporary coat of paint first. Not exactly the ideal order to do things, but budget restraints sometimes mean that we do things back to front. 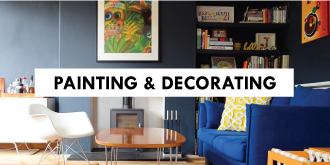 I’ve never heard of sanding between coats of paint – how does this change the finished product? Do you have to let it dry for a long time before sanding? Good question, Bonnie. It’s almost the most important step! When you paint wood, little air bubbles will rise to the surface – if you feel it when it’s dry, you’ll notice little bumps all across it. Basically you’re just sanding and smoothing away all of these little air bumps. It’s important to let the paint dry completely before sanding, then using a really fine sandpaper (at least 240 grit) just lightly sand the surface. Try to apply even pressure and be careful around the edges. Then, after cleaning as usual, you can apply your next coat of paint. Give it a try (it’s how the professionals do it), your paint finish will be sooo much smoother! On the sanding between coats, with natural timber its not too critical (in our experience), but with a product like MDF its absolutely essential to give it a sanding as the paint causes the MDF to fur. You’ve done a very nice job here Christine! 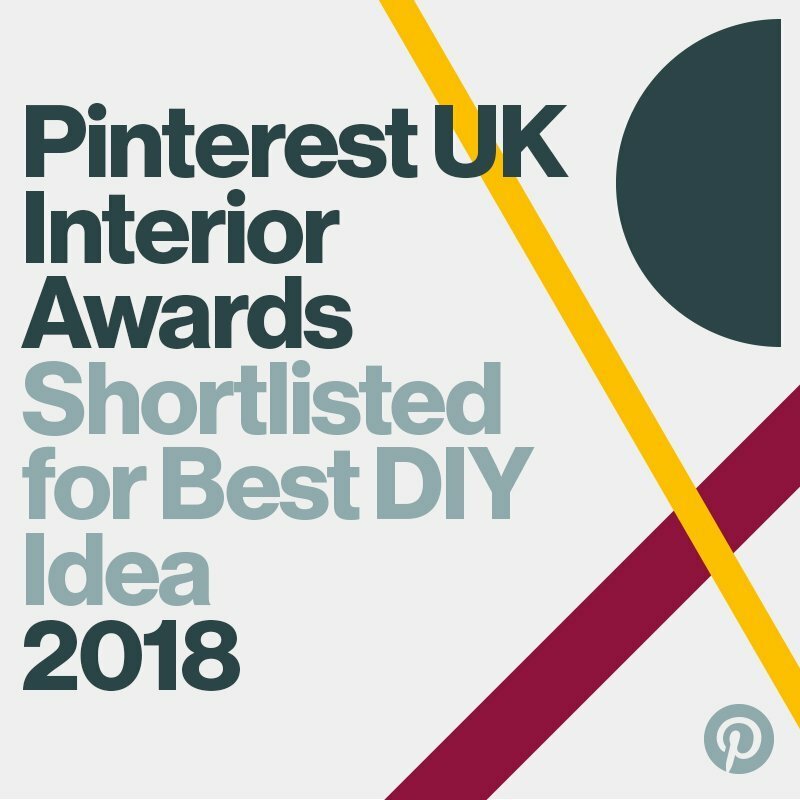 Hi,do I really need to sand down the skirting boards?,im a tad lazy with diy and not enough time on my hands. Being lazy DIYers ourselves, we know exactly what you mean, Mark! Really it all depends on the condition of your skirting boards and how picky you are about the finish. If your skirting looks okay now and just really need freshening up, it should be fine to (more or less) just paint them. Any paint finish is only ever going to be as good as the surface of whatever it is you are painting though, so if they (or the paint) are chipped and damaged, even the best paint job in the world won’t completely cover any imperfections. I’m a bit of a perfectionist and our skirting had been covered in a ridiculous amount of paint, so I thought it was best to completely strip them first. 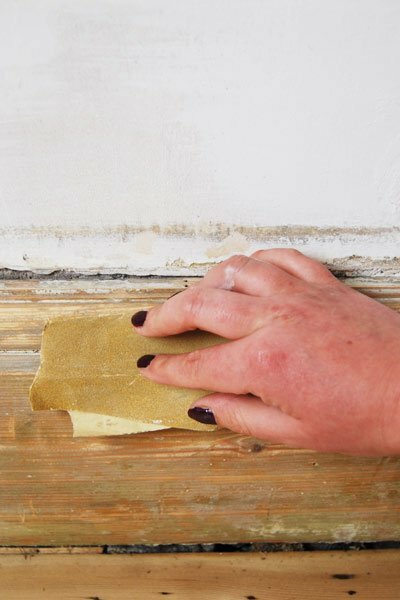 Assuming your skirting boards are in a decent condition, we would give them a good clean with some sugar soap, then very lightly sand them with some fine sandpaper (roughly 240grit), wipe them again to remove any dust from sanding and then paint them. We’re only talking a very light and quick sand – it probably shouldn’t take longer than 30 minutes to do all of the sanding in an average sized room. Thanks for your help,there only 10 years old,so a few scuffs with wear /tear so no serious damage,ill sand as I go.Thankyou CX. Sorry but a perfectionist like myself could not live with the unfilled rough plaster above the skirting, I believe in the saying if your gonna do it do it well. The walls weren’t finished when we took the pictures and painted the skirting. It’s all smooth and plastered now. It’s the quickest and easiest way to to freshen them up, Julia! We moved into our house + painted the walls a neutral magnolia. Now, after 2 years, we have decided which rooms to add colour ( not just accessorise – which is a very good idea + Very Cost Effective ) We have papered feature walls. Please advise / any tips ???? From your description, it sounds like that a silicone sealant has been used instead of a decorators caulk. Whilst you can easily paint over caulk, silicone on the other hand wont accept a paint finish. It’s really annoying (we’ve discovered similar problems in our house along the way) but the only real option you have is to remove the silicone and than caulk the gaps. Sorry we couldn’t give you an easier option! great site! Thanks for sharing your experience and tips! I am a bit confused about which one to use. I have read many reviews about many paints, and I keep on gathering mixed reviews and experiences. For me the most important thing is to find a paint that does no yellow, is durable and relatively easy to apply. (I am not a professional, and I care about the finish). I would like to go with a eggshell or satin paint, definitely not gloss. Also, I suspect my skirting boards had been painted by the previous owner with a water based paint. Do you know what the best way to confirm this is? I understand painting over oil based paint would have an impact on the preparation steps before painting them. We had problems with choosing paint, too. You’re right, we did use Dulux Pure Brilliant White Eggshell, which is the same one that you found online. Initially we did have some problems with the paint yellowing and weren’t best pleased about it, as you can imagine. Apparently Dulux have since change the formula of the paint so it shouldn’t happen anymore, and I would say that the newer paint that we’ve used hasn’t really gone yellow. Admittedly we’ve only stuck with the same paint, as we wanted the same white throughout the house. Whilst it’s fine, I’m not sure we’d use it again. For your skirting that you suspect may be painted with water based paint, I’d recommend testing through trying to remove a small are with a heat gun. If it’s oil based it should sort of melt and be easy to remove, if it’s water based, it may still bubble, but will really just flake a bit. I have paid someone to put laminated floor and skirting board at the bedroom. However, the builder bought those white skirting board from B&Q. But i wanted to match it off with the shireoak laminate floor. Just wondering if i can paint over the white paint or what should i do…. That’s a difficult decission, Claudio! I’m not sure what the skirting boards you have are covered with, as they are available in painted and primed. You can paint them, especially if you have the ones that are just primed, but I’m not sure how well you’ll be able to match them with the laminate floor. Just try on a small, hidden test area or a little left over bit of skirting. Thanks for the great guide – random question – where did you get the light shade from? The wooden random/messy ball of string light shade is AWESOME! Thanks Marc! Glad to hear you like our guide & lamp. We had no problems at all when painting our walls. We applied a watered down coat of white emulsion to start, but other than that did nothing special. 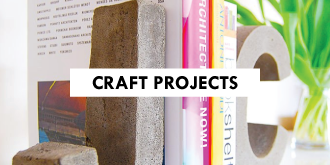 Not really sure what to suggest, maybe you could try sealing the wall with a coat of watered down PVA first. I’m not sure it’ll help (I’d try in a test area first), but it’s possibly worth a try. Sorry we couldn’t be more help, John. I assume that the paint used is oil based. Some white paints have a tendency to yellow (there was a big deal made of it a while ago in the press after paint companies were made to change their paint formula to comply with lower VOC levels). It’s super annoying, but I’m afraid that there’s nothing you can do other than repainting. If it makes you feel better the problems seems to have been sorted on newer paints. 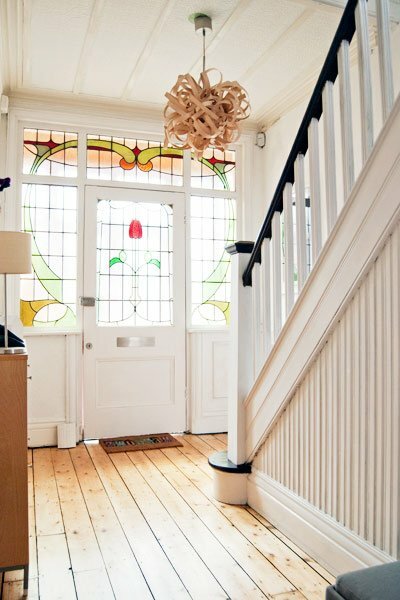 Some of the edwardian doors in our home are gloss painted whilst others appear to have painted with emulsion. I want to paint them all. You mentioned previously that it should be possible to paint over gloss with a matt paint for wood. I cannot find a paint of that description. What paint did you use when you painted onto wood over gloss? Sorry, if I was unclear, Dee. Essentially you can paint over wood paint with any other wood paint. There are different levels of sheen in wood paint ranging from gloss to less shiny satin and eggshell finished. Eggshell is the most matt of wood finishes. I wouldn’t paint directly over emulsion with wood paint and would try to remove as much of it as possible before painting. As always sanding and preparation are key to achieving a good finish. Hope that helps! hi again, i found that you used glidden. I have cardboard walls on my flat which are currently painted light grey, they are damaged by holes and some areas are not smooth..what would you recommend me to smooth them can i use a white plaster paste and then paint them with glidden paint? or should i buy cheaper white paint first and then put glidden white on the top? You’re right Eva, pretty much all white paint we’ve used around the house is Glidden Contract Matt which is now called Armstead Trade Contract Matt. I’m not exactly sure what you mean by cardboard walls – I’m assuming they’re plasterboard. 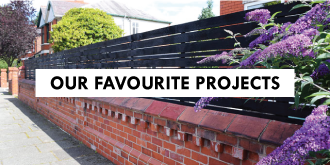 It’s really difficult to smooth walls without completely replastering but there are definitely a few things you can try to improve the situation. I’d start by filling all holes and then possibly try to smooth them some more by applying some filler and then sanding. This is the filler we used for all of our walls (that weren’t replastered) and it’s easy to apply but more importantly it’s easy to sand which means that it should be easy to work with on your walls. The Armstead Trade Contract Matt paint is already really cheap. We use it to both paint walls, ceilings, etc that will stay white and to prime walls, so I wouldn’t bother buying any other paint. I will follow your advice, the only thing I struggle is what / which brush or roller buy for the walls ceiling? No problem, Eva! We wrote a post about our favourite painting tools and supplies a while ago. You can read it here. We’d recommend investing in the best brushes you can afford (you’ll only need one or two) as a good quality brush can really make it much easier to achieve a good finish. For rollers you’ll want something with a short pile which will give the smoothest finish. All of the tools that we use are listed in the above mentioned post though. YOU ARE ROCKING! 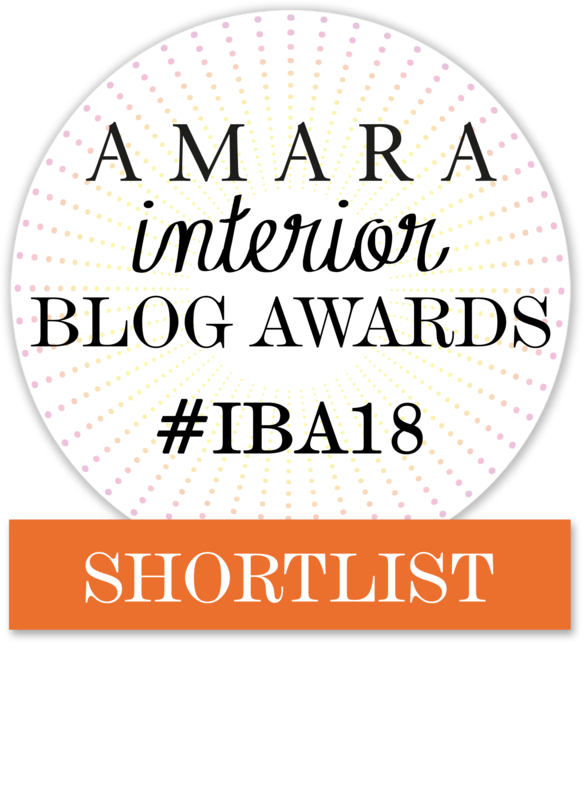 THANK YOU AGAIN FOR THE GREAT BLOg! You’re right, Andy! We did apply primer on any floors we painted but skipped it on the skirting. Hi, we have skirting and picture rails and door frames throughout the house which are coated in gloss. I really want to avoid having to repeat gloss as want a satin or eggshell finish. Do you think your dulux super primer tip would work pre satin application or do you advise it best to strip the gloss with a heat gun? Gloss paint is so annoying, isn’t it! Luckily, there’s a really easy to get rid of it and there’s no need to prime either. Just give everything a quick sand with some sandpaper (around 120 grit) to remove the shiny finish and roughen up the surface. This will allow your new paint to adhere to the surface and be a perfect base for painting over it in a less shiny finish like satin or eggshell. We only stripped our layers of paint (which is a huge amount of work) because everything had been painted so many times that the detail had been lost. There’s no reason to strip paint if it’s in a good condition and you’re happy with it in general.